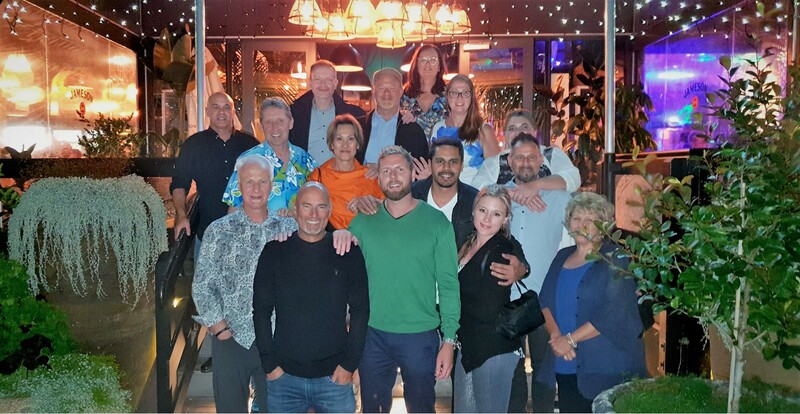 The Spine Connection team hosted our very first New Zealand Patient Day & Reunion Dinner in early February 2018. For the last 3 years our team has helped an ever-growing number of New Zealanders seeking alternative spine surgery options like motion-preserving surgery in Germany, and it was time for us to visit our patients on their home turf. Whilst their countrymen were enduring the end of a snowy winter, German Spine Specialist Dr. Thomas Bierstedt and Mr. Malte Petersen from ONZ Germany made the 24-hour flight to a late summer Auckland in all her glory. Jake Lemon, Spine Connection Director of Patient Services also joined the team. Our past New Zealand patients (we prefer Alumni) helped us organise a reunion dinner at the Viaduct near Auckland’s famous harbour. Seated beside us were patients who had already travelled to Germany for spine surgery, with some bringing their caring support partners. We all shared stories around the table whilst enjoying delicious local produce and fantastic wine. As part of our Support Network many had spoken on the phone or via email, and so everyone was incredibly happy to spend the evening together in person, with some even travelling across the country to be there. Some couldn’t make the journey and sent us their well wishes. Social evenings like this are a testament to the relationship we build with our patients during their spine treatment journey. We have such a strong (and growing) community in New Zealand, we’re proud and supportive of them and they us – we believe that’s the way it should be. 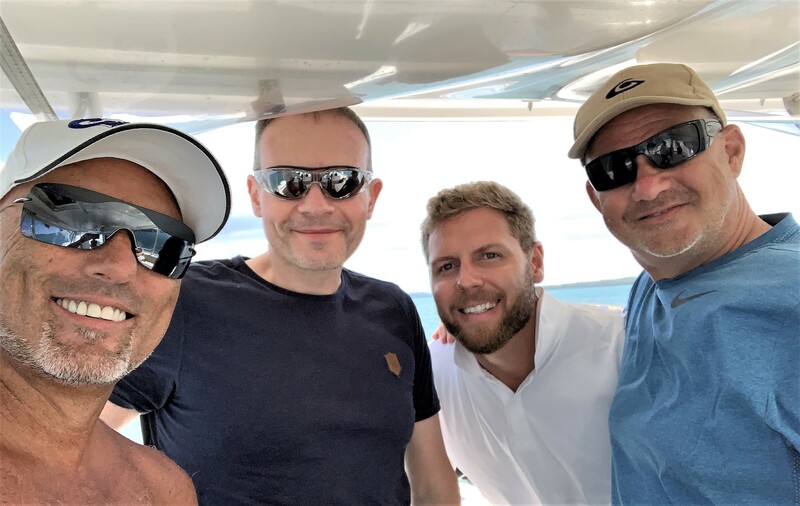 When one of our previous patients, Mr. Joel Tetro, learned of our planned trip to New Zealand, he didn’t hesitate to invite us out onto his family’s boat on Auckland harbour. Joining us was his wife, brother and their families. Our Director Jake Lemon had the opportunity to join Joel stand up paddle boarding, and having supported Joel through his entire spine surgery journey and knowing his pre-surgery lifestyle restrictions made the moment most special and surreal. New Zealand is famous for its sailing, fishing and spectacular waterways, and spending the day at an ocean bay in good company with great food will be a cherished moment immortalised. At the end of the day Joel’s mother was teary eyed when she thanked our team for changing her son’s life, and it was a heart-warming moment for all. The trip to New Zealand also provided a perfect opportunity to meet face to face with people interested in our Spine Centres in Germany and their motion-preserving technologies. The event provided a platform for those we hadn’t met to have a private and informal discussion with our team, along with patients who returned from surgery overseas and brought their families along on the day to share their experience. Do they give off a good energy? What’s their bedside manner like? While our Patient Day was a small part of our trip to New Zealand, it drew attention from a local newspaper, which featured a story on the legalities of our team meeting with New Zealanders in their own country. 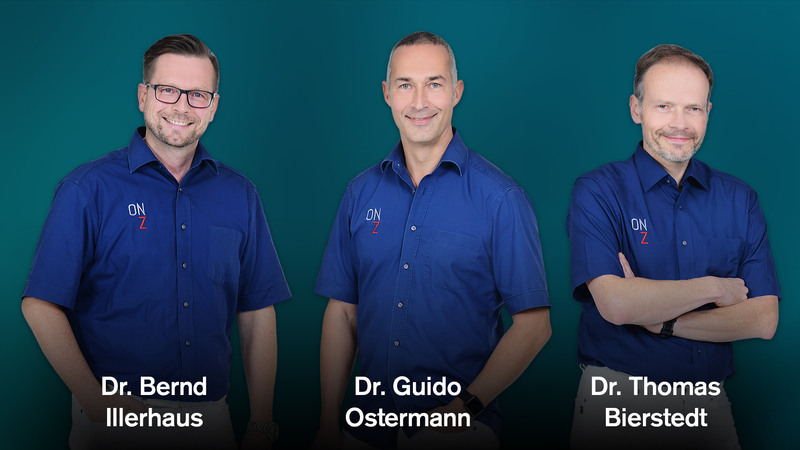 Our team in Germany boasts seven specialists including four orthopaedic surgeons and three neurosurgeon spine surgeons (pictured above). As the surgeon visiting with our team, Dr. Thomas Bierstedt was featured in the article. “The local reporter writing the article was being advised by a governing health body for which we have a great deal of respect, but we disagree with some comments from the local spine surgeons quoted,” said Jake Lemon from Spine Connection. “This reaction is part of the medical tourism equation and we expect it. As the first organisation to specifically assist spine patients we’re challenging the status quo, and there’s resistance from local surgeons for all the obvious reasons.” He concluded. Those interested to read about Spine Connection and our patients in the News are invited to view this February 2019 Feature Article on Healthcare Tourism [LINK], syndicated nationally online and in Australian Newspapers. While we treasure our strong patient network in New Zealand, this is one of thirty-five countries from which patients travel to visit our spine centres in Germany. Just three years ago our team hosted the largest reunion of spinal disc replacement patients. The event in Canada was attended by sixty-one (from over five hundred) patients who had each travelled from North America to have motion-preserving surgery in Germany. Mr. Malte Petersen from ONZ Germany understands how unique it is that a medical team would be willing to put itself in a vulnerable position by having previous patients gather together in the same room. *Click this link for more on the record setting patient reunion in Canada.